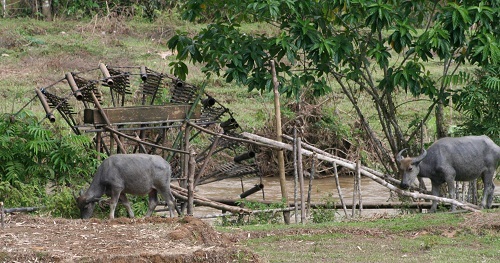 Water buffalo grazing in front of an irrigation water wheel (kincir air). About 3 miles to the east of the City of Bangko is a botanical garden that contains a crocodile pool, pet deer, race track for motorcycles, monkeys, several waterfalls, and some very large bats. It’s location can be found with this link. 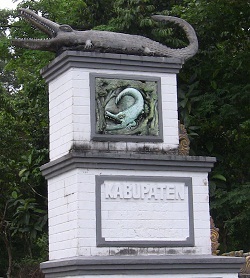 Rumah Tuo is a tourist attraction in the Tabir Kecamatan (township) of the Merangin Kabupaten (county) in the Jambi Province of Indonesia. This home is considered historical because it’s claimed to be around 500 years old (they did acknowledge that it had been renovated several times). 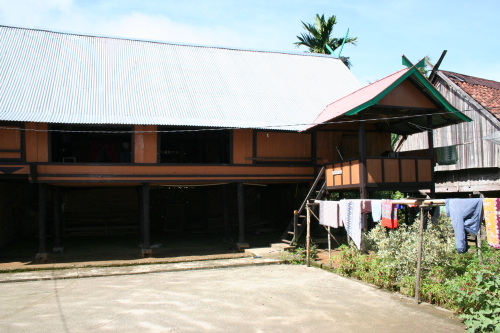 Rumah Tuo is surrounded by about 30 other similar homes. 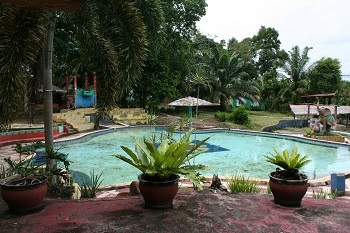 Its exact location can be seen on wikimapia by clicking this link. This tourist site can be visited at any time and can even be accompanied by a cultural program that includes dancing, music, display of traditional cooking, as well as martial arts performances (this needs to be arranged for ahead of time).